Christmas is coming... secure your festive stock! We’re excited to share with you our Christmas brochure, the perfect guide for a healthier Christmas! Our Buying Team have been busy putting together a fabulous selection of seasonal products that will inspire both you and your customers, with over 50 pages of festive foods, delectable drinks and gorgeous gift ideas. Pre-order now to secure your festive stock. Pre-order your Christmas products by 5pm Friday 24th August to reserve your stock. 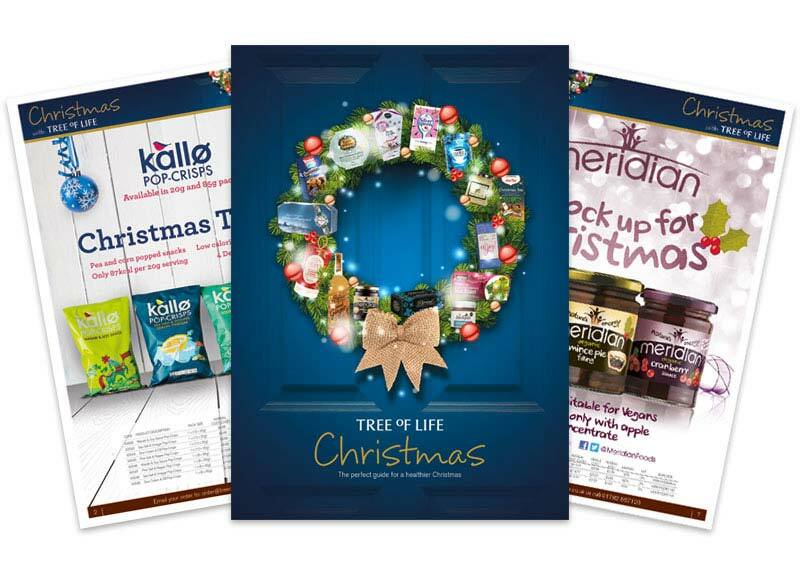 Simply email your order to: order@treeoflife.co.uk or call us on 01782 567120 and quote order code: Christmas18. Orders can also be placed after this date whilst stocks last. Stock is available for delivery from 1st October 2018. To guarantee freshness some products with a shorter shelf-life are available at a later date, as indicated on the relevant pages within the brochure. Click on the image below to browse the Christmas Brochure.